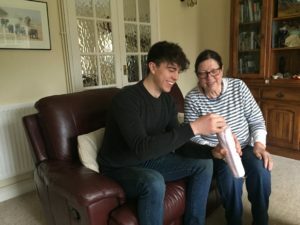 ‘A’ level student from Tonbridge, Matthew, has been a volunteer for the ALC for the last couple of years. 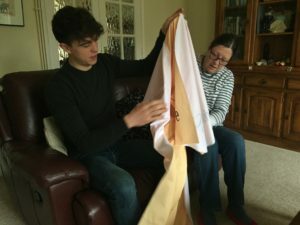 He did some of this as part of his Duke of Edinburgh Bronze and Silver Awards and, more recently, has been working on his Gold Award. 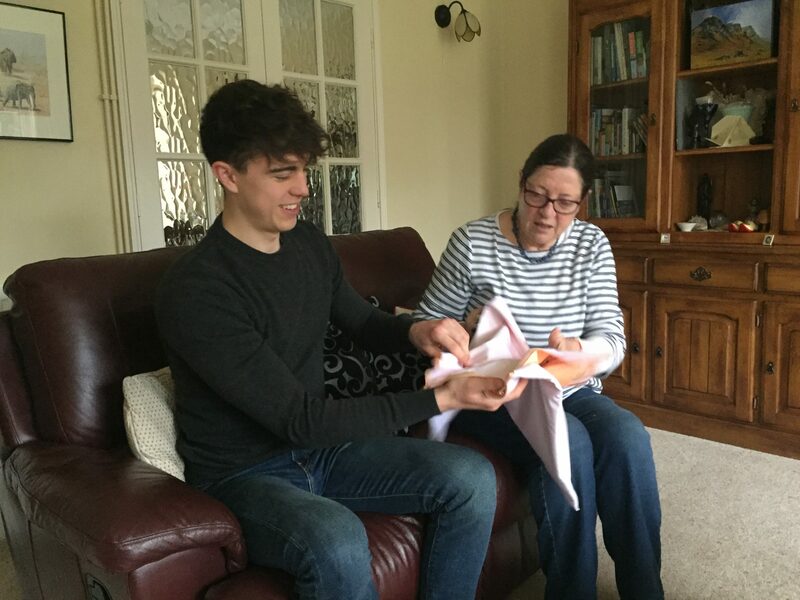 He is talented in design and has produced flyers and promotional material for the charity and the school in the past. His most recent undertaking was to research, design and acquire a table runner for the charity to use at a variety of events. 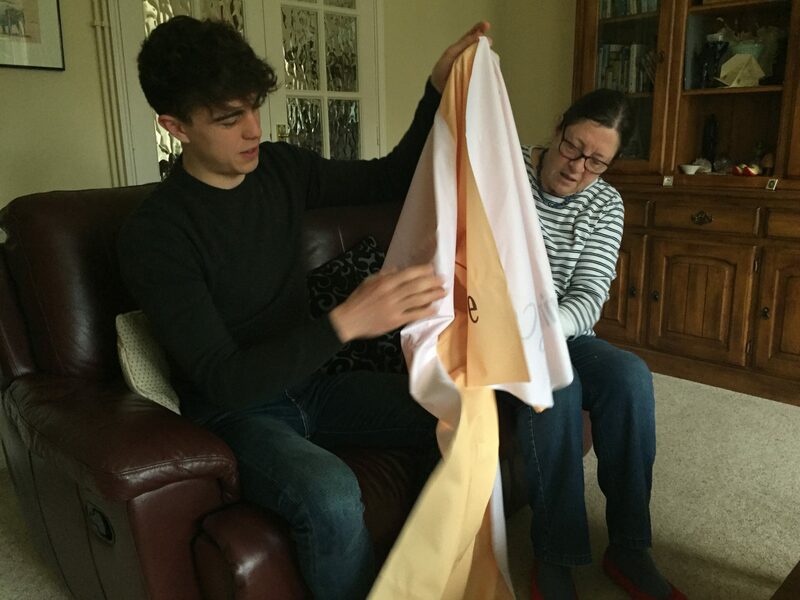 Matthew’s mother, Michelle, generously financed the runner – many thanks for this. 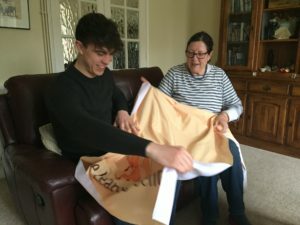 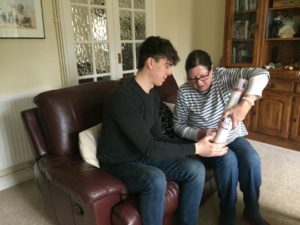 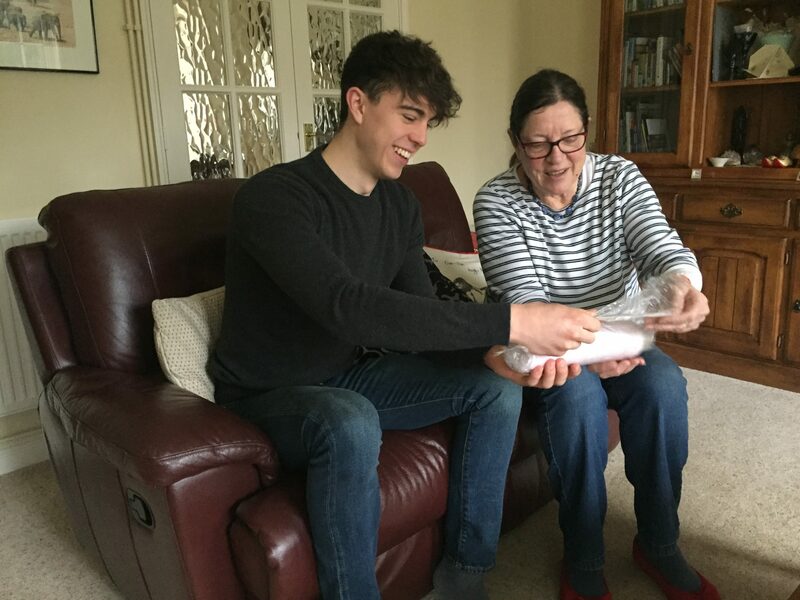 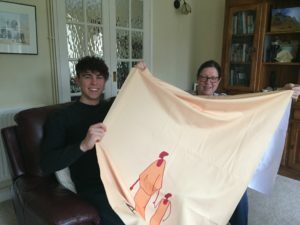 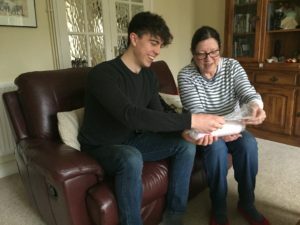 Matthew, his sister Bella and Michelle delivered the runner to Jean and stayed on for a fruitful discussion about future fundraising ideas including foodstuffs, packaging and decorations. 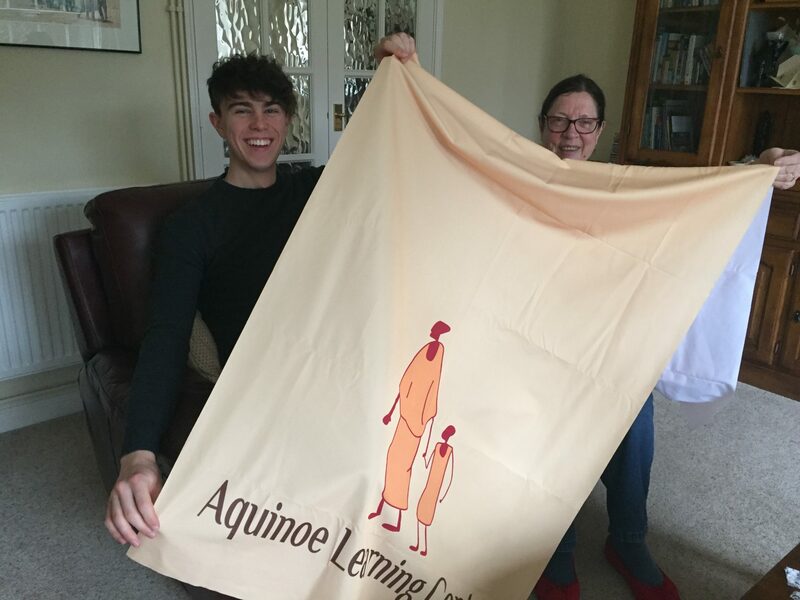 Bella would also like to volunteer her time and skills for Aquinoe, so many thanks for that. The trustees extend their grateful thanks to the whole family. 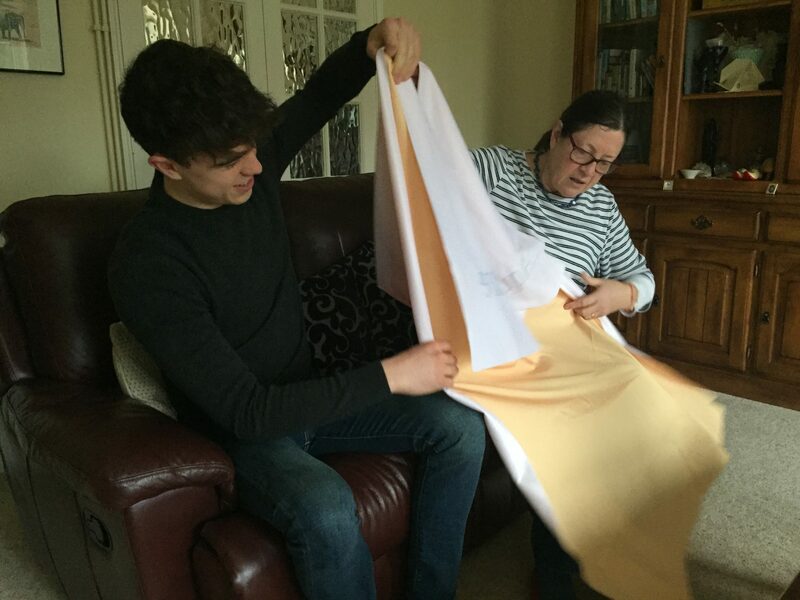 The runner was securely packaged and it was only gradually revealed!